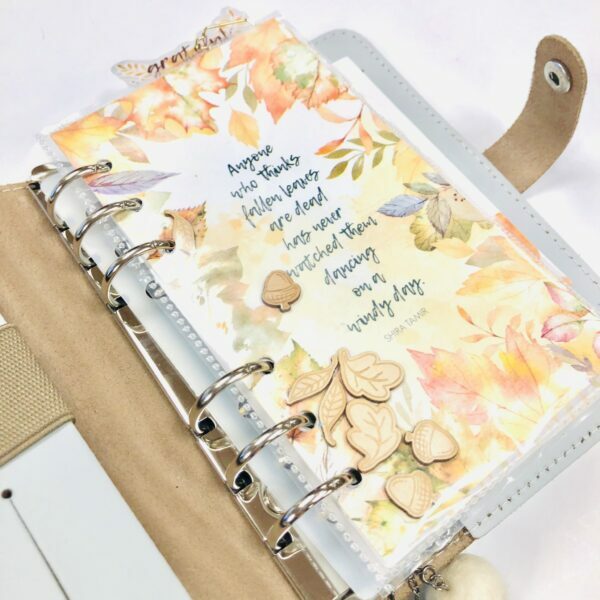 I’d like to share with you how I’ve been using the die cuts from all the kits in my planner. I always feel like the amount of die cuts we receive each month is INSANE (in a good way), so I’m always looking for new ways to use them. Here are a few of the ways I used them for October and November. 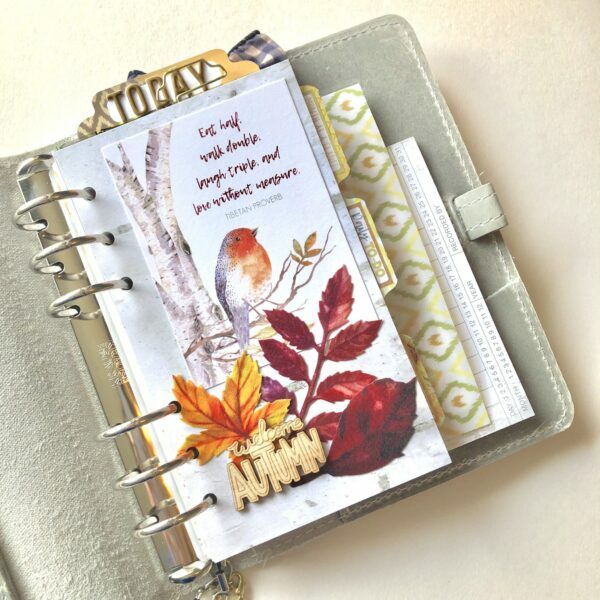 Front Covers – I took some of the paper and added a card from the pocket memory keeping kit. I then layered the fabric leaf die cuts and added a wooden piece to finish it off. Shaker boards – If you have a fuse tool, you can use your dashboards and die cuts to make a shaker board. 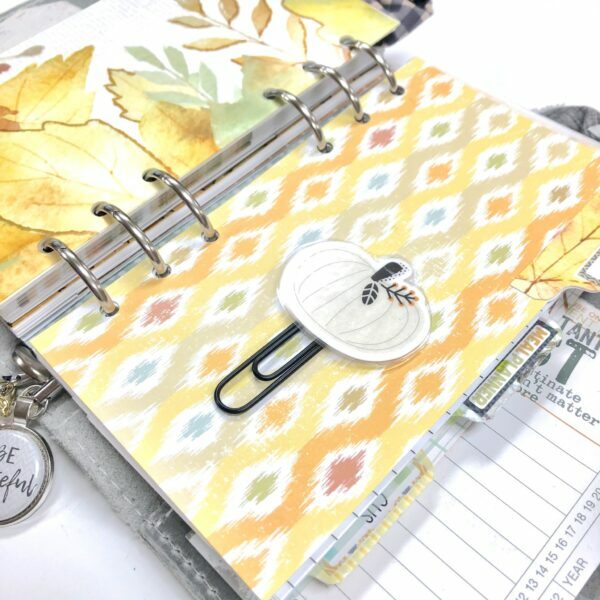 For November, I used the wooden pieces, but you can use the paper die cuts, too. 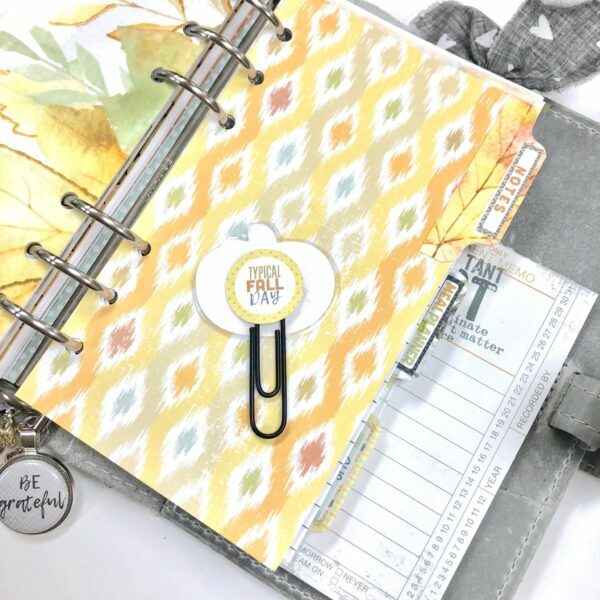 Paper clips – One of my favorite ways to use the die cuts is to run them through the laminating machine, trim them, and then hot glue a paper clip to the back. If you don’t want to see the glue on the back, you can even use another smaller die cut to cover it up. Here is my favorite pumpkin from the October kit that I’ve been using in November as well. 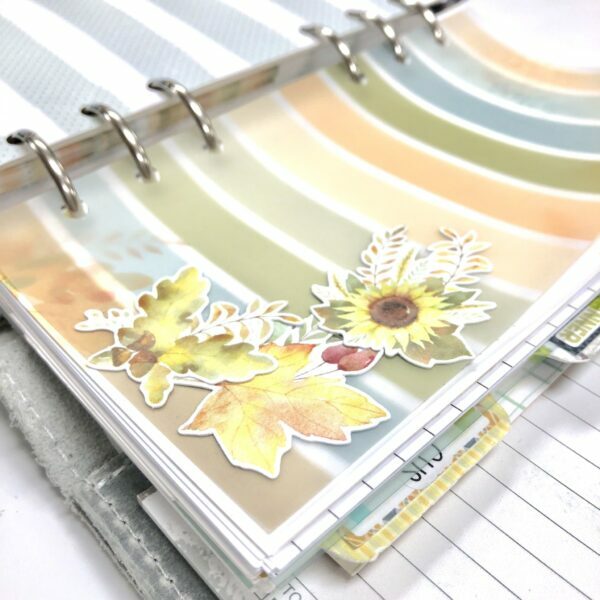 Stickers – I’ve seen a lot of people use their die cuts as stickers by running them through a Xron. You can achieve the same effect by using a tape runner on the back. Decoration – This one might seem obvious, but I always love how they jazz up dashboards and folders so I don’t want to skip it! 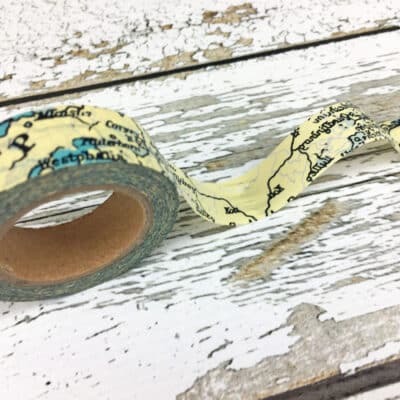 You can use a tape runner to add them to almost anything just as simple decoration.Here’s a piece of vellum I printed at home using the free printables. I used a tape runner to adhere them and I love the finished, layered look it has. 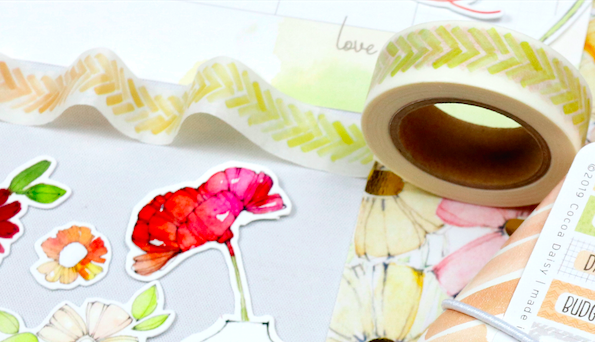 DIY Your Scraps with the Walk In The Woods collection! I loved this post and the ideas you shared! Thank you so much! I love all your ideas! 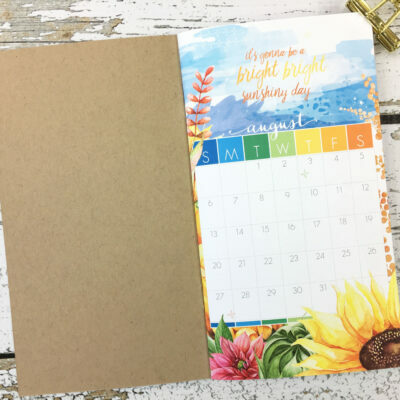 They are so do-able and add so much to the planner. Thank you for posting these ideas!